The Automobile Club of Southern California is now enrolling students at its new Auto Club Driving School in Corona. The Auto Club Driving School uses an online curriculum based on research of teen driving crashes. The online program includes a parent orientation that must be taken prior to a student beginning the course. The course’s interactive curriculum and activities are designed to keep teens interested and engaged. Exclusive video crash cam with footage of teens involved in collisions is a safety highlight of the course. The curriculum is focused on safety and student participation with core elements designed to address the top four causes of teen collisions. The online course fulfills the Dept. of Motor Vehicles educational requirement for an instructional permit. After a teen successfully completes the online course and obtains their permit, they may begin behind-the-wheel training also offered by the Auto Club. In-car lessons are taught by state-licensed Auto Club instructors. On-the-road training routes are designed to reinforce the online curriculum. All lessons are one-to-one instruction and begin and end at the Auto Club Corona branch. Parents receive feedback after each in-car lesson. The instructor provides each student with a progress report that be used to hone skills while practicing with a parent. Students who successfully complete an Auto Club Driving School program receive a free dependent associate Auto Club membership and may qualify for a car insurance discount when added to an auto insurance policy through the Auto Club’s affiliated insurance company. Since 2000, more than 70,000 students have been trained by the Auto Club. The Auto Club Driving School is located at the Auto Club Corona, 1170 El Camino Ave. 92879. For more information or to enroll, contact the Auto Club by calling toll-free, 1-877-614-7247. Registration and advance payment are required. 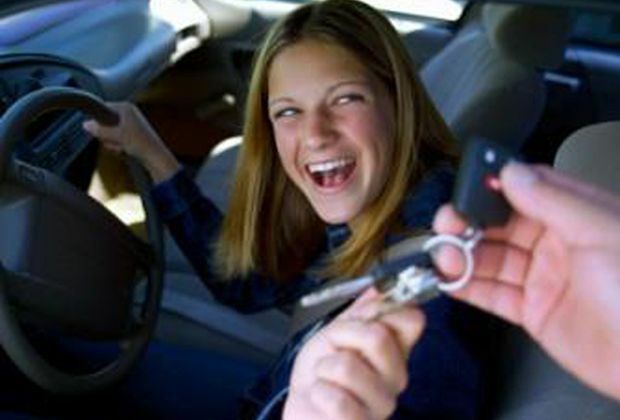 For help getting started with the learning-to-drive process, go to www.TeenDriving.AAA.com or www.AAA.com/teen.